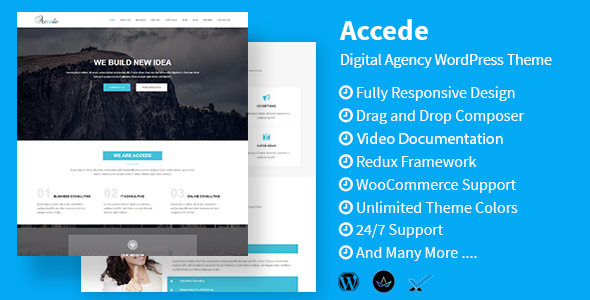 Accede is WordPress Theme furnished with bootstrap 3x, flexible, responsive features & suitable to create Financial Advisor, Accountant, Consulting Firms etc. Designed by professionals, this business website template holds a clean and beautifully designed structure with impeccable layouts, hover effects, compatibility and more interactive features. It is the most powerful one page WordPress Theme.